Chunky yarn works up real quick, so you can have this hooded infinity scarf crocheted up in no time. Crochet it for yourself, or give it as a heart-warming gift. Use an N hook and some chunky yarn to crochet this. 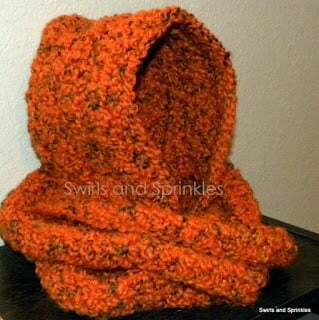 You might also enjoy more free crochet patterns by Swirls and Sprinkles.